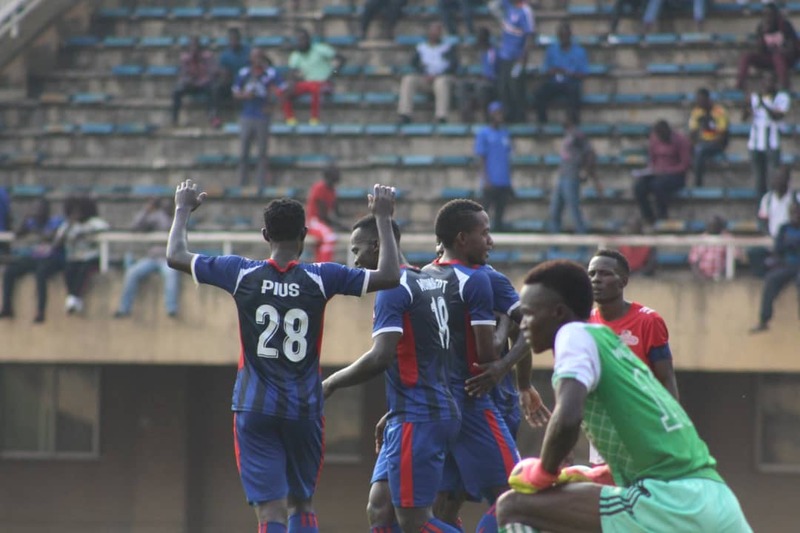 SC Villa got off to a flyer in the Stanbic Uganda Cup, defeating Lugazi Municipal FC 4-1 in their Round of 64 clash at Namboole on Saturday. Fresh from a 2-0 league victory over sworn enemies-Express FC in the League, the Jogoos saw top scorer Bashir Mutanda, David Owori, Ashraf Mandela and Joseph Ssemuju all get onto the score-sheet wile Okot Steven grabbed the visitor’s consolation. After a barren first 29 minutes, Mutanda put Villa ahead with a fine header off Habib Kavuma’s cross. Five minutes later, Owori made it 2-0 with a fierce effort from outside the area after he was teed-up by Mutanda. At the stroke of halftime, Pius Wangi put the result beyond doubt, side-footing Derrick Ndahiro’s cross into the net. With Villa leading by 3 at half time, the game was done and dusted. However, two more goals would come in the second with substitute Ssemuju scoring the fourth for the host on 62 minutes while Okot who had earlier tested the Jogoos back-line on several occasions, pulled one back for the visitors, tapping in a Gerrald Ogwet cross with 14 minutes to play. Victory for Villa means they march onto the next Round (Round of 32) and will wait to know their next opponents at the start of 2018. At Kakyeka Stadium, hosts Mbarara City FC edged Maroons FC 4-3 on spot kicks after a 0-0 draw in regular time (90 minutes). After the 0-0 in 90 minutes and with no extra-time at this stage, Maroons captain Johnson Silver Okello stepped up to take the first penalty but it was saved by Ali Kimera. Emmanuel Olinga also put his kick wide for Maroons while only Pistis Barenge missed for the hosts who saw Kimera slot home the winning kick. 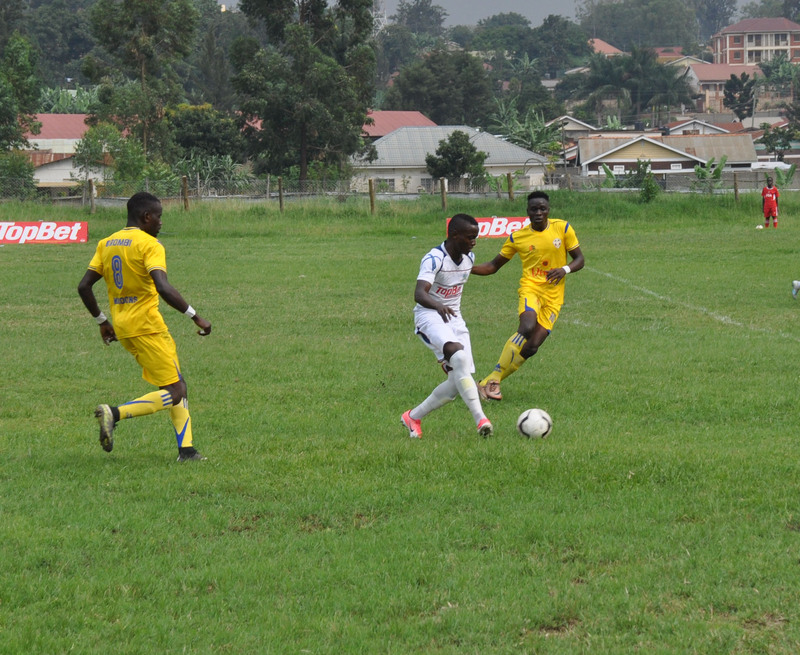 In the other fixture at Mutesa II Stadium Wankulukuku, Saviors FC failed to show up against Water FC. The FUFA Competitions Department awaits the referee’s report before taking a decision on the matter. Meanwhile, action will resume this Sunday with 24 fixtures of round of 64. Record winners Express FC visit Paidha Black Angels FC in Arua while Vipers SC and KCCA FC who are engaged in continental tournaments but will play the first round matches on Wednesday 26th December.